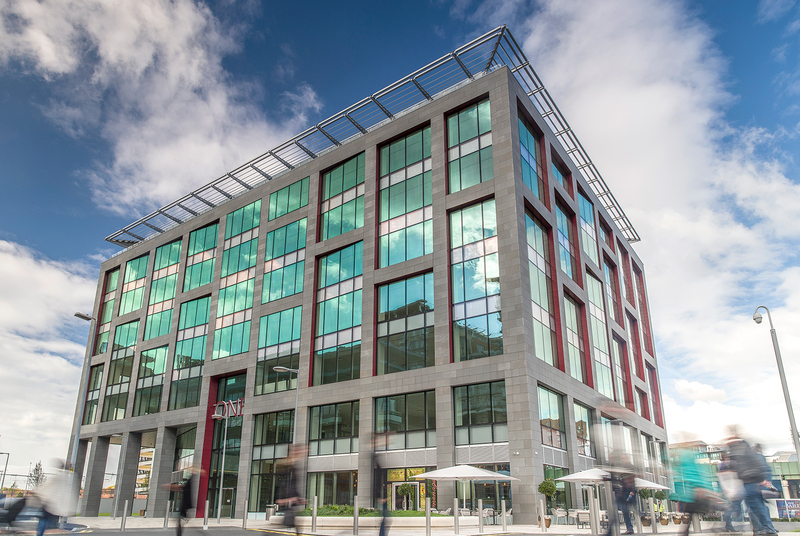 New Bailey is a high value, high-density corporate centre situated on the banks of the River Irwell. It comprises of inspired architecture, at the heart of a thriving hub where business and leisure collide. Situated adjacent to Manchester city centre and next to Spinningfields, New Bailey forms part of a 12 year, £650m Salford Central regeneration scheme which covers over 50 hectares of land. 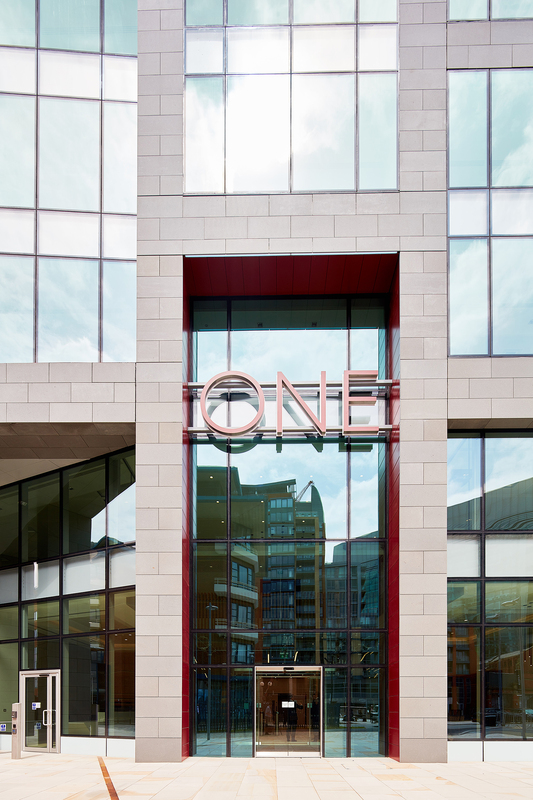 One New Bailey, the first of the developments within New Bailey is a new office building totaling 125,000 sq. ft., developed to high specification and due for completion in May 2016. Further phases of office space are also set for development, all complimenting the recently opened Premier Inn hotel and 615 space NCP multi-storey car park. The project is owned by English Cities Fund (Muse, Legal & General and the HCA), in partnership with Salford City Council. New Bailey is due for overall completion in 2018, offering Manchester a new business development within a thoroughly established setting. 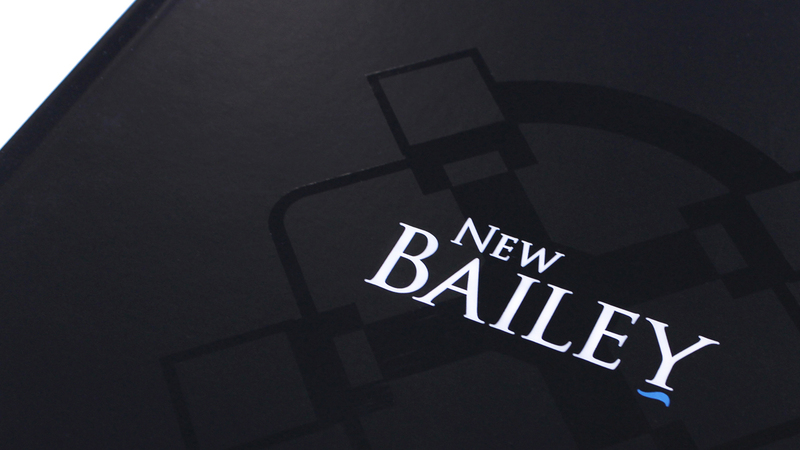 New Bailey is one of our most prestigious to date. Since 2009 we have been tasked with the naming, research, planning, brand development and marketing collateral across various stages of the project. In a competitive environment and amongst other local regeneration schemes, the challenge came in presenting the development as a strong and stand out character against its competitors. There was also a need to take into account the longevity of the project – our core idea would need to stand the test of time, but also allow for each campaign to feel fresh and exciting throughout the years. Each key state needed to be presented and approved by the various stakeholders within the scheme. The name ‘New Bailey’ was developed through precise research into the surrounding area and the development site itself. The agency presented a range of names along with reasoning for each one. New Bailey name was chosen and applied throughout the whole scheme with One New Bailey being the first office building to be completed. New Bailey multi-storey car park and Premier Inn New Bailey are already complete and open to the general public. The logo was developed in a serif font and incorporates a blue device to inject colour and personality to the overall look and feel and represent its close proximity to the river. It is now in place on all collateral including hoardings and MSCP. 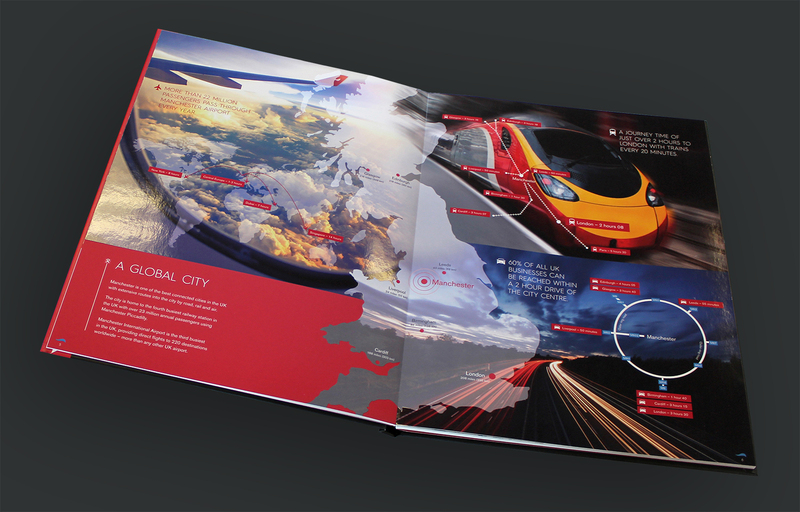 A 32pp book printed to the highest quality with spot UV throughout and was infinity bound to show the exceptional photography and graphics seamlessly across a spread. The book sells the scheme, in particular the first office building available, One New Bailey, through robust imagery, branding and powerful but minimal copy. New Bailey website has been designed and built to be fully responsive across all platforms. The site has various high quality interactive sections using tool tips, which increase the user experience. The site includes a film, aerial drone footage, interactive maps and an image gallery. Analytics play a key role in the measurement of the site which is also fully SEO enabled. Emails are sent out on a regular basis to help keep momentum and awareness for the development. 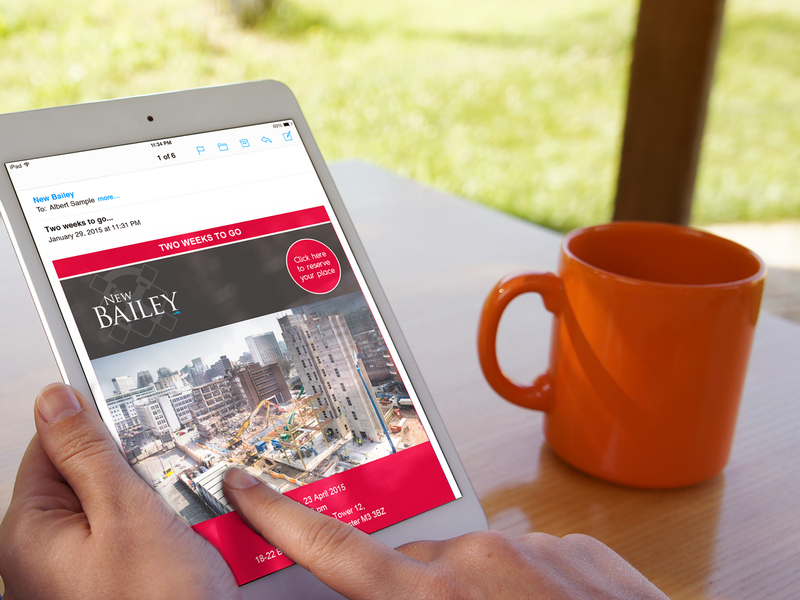 Each one utilises large hero images and exciting subject lines to communicate with agents and potential occupiers. New Bailey launched at MIPIM in Cannes in March, followed by an exclusive agent’s launch at the prestigious Manchester House. For both events, we have already and will continue to support with branded materials, emails, DMs, z cards and banners etc. Various presentations have been designed and built for the client with each one tailored to the prospect. New Bailey branding is carried throughout each presentation with CGI and aerial imagery, interactive floorpans and bespoke mapping. In June 2015 aerial drone footage of the site was filmed, capturing the progress of the £650 million New Bailey scheme in a spectacular bird’s eye fashion. The footage shows the central core and steel framework of One New Bailey, the eight-floor 125,000 sq. ft. office development. The site of the former City Wharf building, soon to become a mixed use 12-to-14 storey building, also features in the video. The footage displays the dramatic revival of the site and currently takes pride of place on the New Bailey website. Future footage is also planned and will be used to create a video timeline of progression. Our work on the New Bailey project to date has been received in very high regard. The development is already gaining lots of interest, and attention on the area continues to grow with the high-energy and eye-catching hoardings, banners marketing collateral taking centre stage.